After asking directions from several tuk tuk drivers and locals who had no idea what I was on about, I finally found Catmosphere (if you’re leaving the Nimman area going towards Chiang Mai University on Huay Kaew Road, it’s on the left in a group of shops in Soi 5). Cats being cats, none of them actually came up to welcome me, but that’s what the human staff are there for, I suppose. The cats were far too busy chasing each other, drink straws and pens. There were about three other groups of people already there playing with the cats, which might explain why they weren’t particularly interested in me, but I was happy just to watch them (the cats, not the people!) while I ate (entry is free as long as you buy something to eat or drink). I thought it was kind of a pity that they weren’t from shelters (knowing how many streetcats there are in Asia!) but a good temperament is paramount for those in the hospitality industry so maybe these ones were better equipped for being around us silly humans all day? Or maybe that was the owner’s reasoning, at least. In fact I was so relaxed after my visit that – I realised THE NEXT DAY – I left my umbrella there. I don’t normally lose things so obviously I was extremely distracted by ALL THE CUTE. It turns out that Catmosphere has just opened in Sydney, too, and there are cat cafes everywhere these days (and a rabbit cafe in Chiang Mai too), so if you’re feeling a bit low or simply craving a feline fix, give it a go – just remember to check your belongings before you leave! So many kitties! 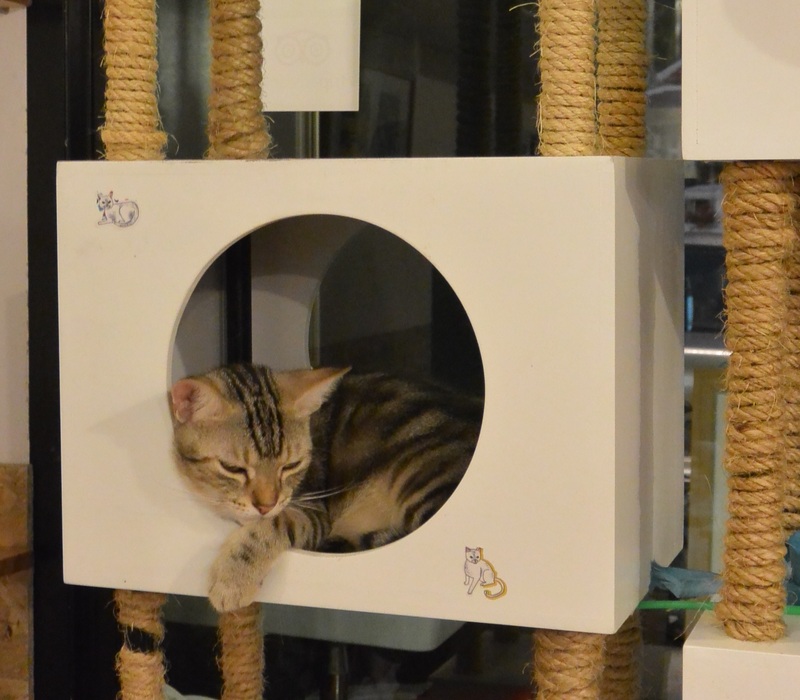 I love the idea of cat cafés – it’s equal parts mad and amazing.